The NFL says it is continuing to investigate the New England Patriots amid claims 11 balls were deflated in a win that sent them to the Super Bowl. "We're still awaiting findings," said Troy Vincent, an executive with American football's governing body. 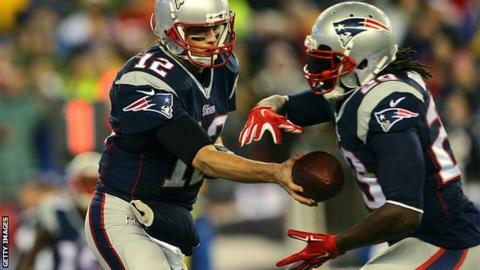 The Patriots beat Indianapolis 45-7 in driving rain and flat balls are said to be easier to catch in wet conditions. If they are found to have deflated balls intentionally, punishments could include losing a draft pick. It is unlikely the Patriots will lose their place in Super Bowl XLIX. They are due to face the Seattle Seahawks in Arizona on 1 February. Eleven of New England's' 12 allotted game footballs were under-inflated by two pounds per square inch of air, according to ESPN.